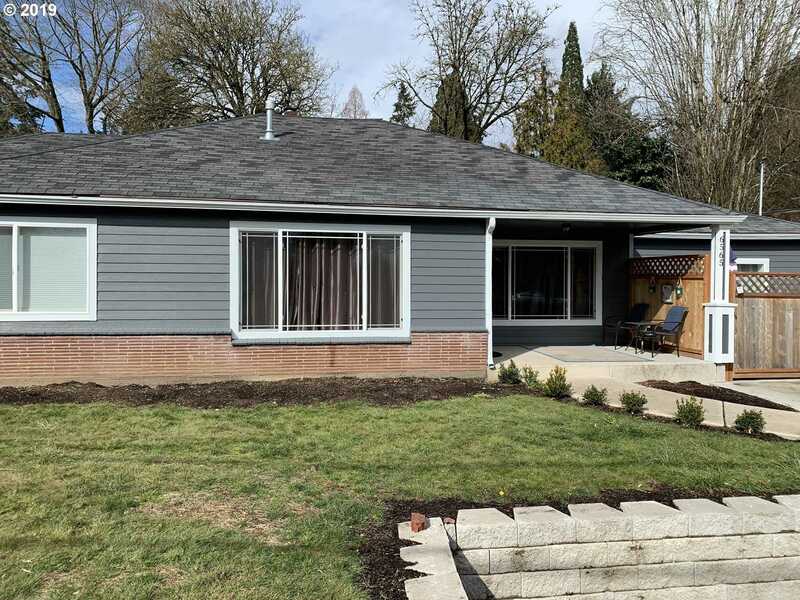 Desirable location near Fanno Creek trail, Portland Golf & Vista Brook park, this home was remodeled in 2017 w/new electrical & plumbing, kitchen & baths, furnace & AC, bamboo hardwoods, tile, quartz, cherry cabinets & windows. New siding & paint (2019). Retains period charm w/coved hi-ceils & built-ins. Completely redesigned converted garage has private deck & bed/bath/mini kitch, perfect for guests. Lg fenced backyard 13,000+ SF Lot! Please, send me more information on this property: MLS# 19214853 – $550,000 – 6565 Sw Scholls Ferry Rd, Portland, OR 97223.